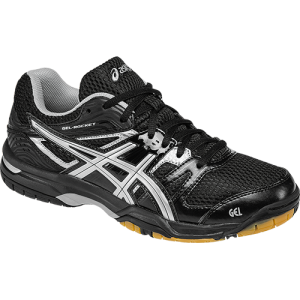 Until recently, Asics ™ had a great reputation in the indoor court shoe category. Unfortunately, as anybody who pays attention to these things can tell you, those days are behind us now. Asics Canada has pretty much given up on the indoor court shoe business. Two seasons ago, they offered 12 different indoor models in a variety of colours and ten of these were good shoes that were suitable for adult pickleball players. This season, however, they are offering only four models. Two of these models (Gel-Upcourt and Gel-Rocket) are transition shoes designed for kids, not adults. One of the four is a high priced volleyball shoe that is designed to look like a street shoe (Netburner Ballistic FF) and the other is the Gel-Tactic, which is nothing special. The Gel-Rocket is undoubtedly their top seller in this category. But this is not because it is a good shoe for pickleball. It is their best seller only because Sport Chek and The Sporting Life are selling it to gullible consumers who don’t know any better. As in previous years, the newest version of the Gel-Rocket has a loose upper with very weak support and a segmented sole featuring alternating patches of low grade gum and painted rubbers. Neither of these rubber blends offer adequate traction on hardwood floors and neither will stand up to long term use by adult players. At best, the Gel-Rocket is an imitation court shoe suitable for use by teens who are likely to outgrow the shoe in a few months. It is not and should not be considered an adult pickleball shoe even though it comes in adult sizes. 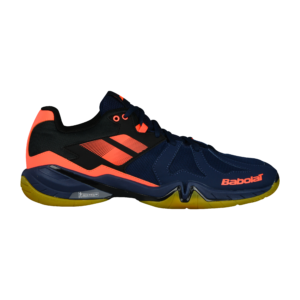 Babolat makes excellent indoor court shoes with Michelin rubber soles. 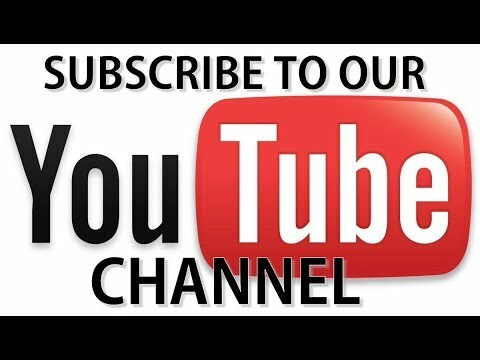 At Racquet Network, we have replaced Asics ™ with Babolat ™. While Asics is in rapid decline in the indoor court shoe category, Babolat is clearly in the ascendance. 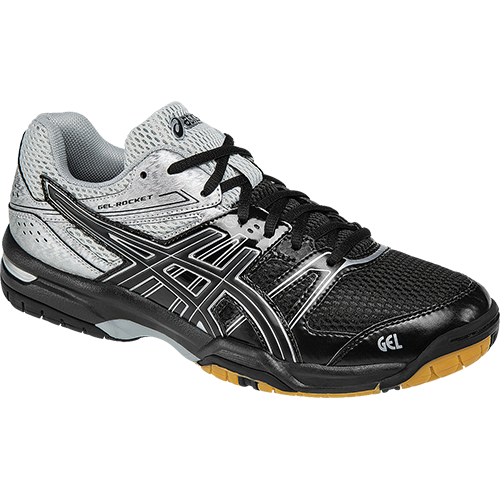 Over the past five years, they have consistently improved their court shoes to the point where they have now surpassed Asics as the brand preferred by the majority of our pickleball customers. The other brand that continues to do well in this category is Yonex. In addition to making excellent court shoes generally, Yonex makes two wide models that are excellent for pickleball and the older players who tend to dominate that sport. Regardless of your size or foot shape, if you are a former Asics customer in need of some quality court shoes, you should come in and see us. Our experts will fit you and make sure you leave with the right size and the right shoe for the surface you are playing on.